The district Pedralbes of Barcelona in Barcelona (Catalonia) with it's 11,800 inhabitants Pedralbes is located in Spain about 311 mi east of Madrid, the country's capital. Depending on your travel schedule, you might want to pay a visit to some of the following locations: Sant Just Desvern, Sant Feliu de Llobregat, Sant Cugat del Valles, Santa Coloma de Cervello and Sant Vicenc dels Horts. To further explore this place, just scroll down and browse the available info. Let's start with some photos from the area. 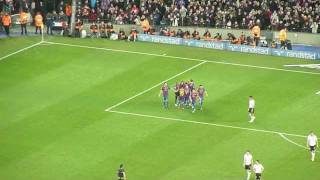 Segundo gol de Cristiano y celebración camp Nou 21/04/2012. 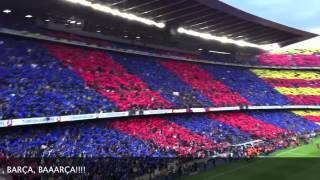 Pre game mosaic and himne at Camp Nou 21. 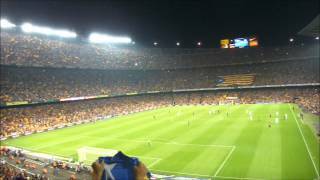 April 2012 Barça 1 - Madrid 2 "Som i serem" - Somos y seremos - We are and we will be Lyrics added to the video Hope you like it! 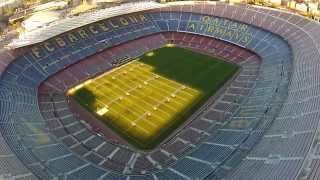 Flying over the FC Barcelona Stadium Sobrevolando el estadio del FC Barcelona, El Camp Nou DJI Phantom 2 Vision + footage. 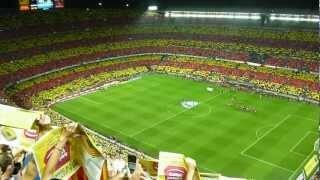 Partit Barça - Reial Madrid Així es van sentir els crits d'independència al Camp Nou des del meu seient.al minut 17:14 de cada part. The Polytechnic University of Catalonia, sometimes referred to as UPC - BarcelonaTech, is the largest engineering university in Catalonia, Spain -albeit encompassing other disciplines such as Mathematics and Architecture. The objectives of the UPC are based on internationalization, as it is Spain's technical university with the highest number of international PhD students and Spain's university with the highest number of international master's degree students. Located at 41.3894, 2.11583 (Lat. / Lng. ), about 2 miles away. MareNostrum is a supercomputer in the Barcelona Supercomputing Center, the second most powerful in Spain. It was presented by IBM and María Jesús San Segundo, the Spanish Minister of Education and Science. It's one of the seven supercomputers of the Spanish Supercomputing Network. The supercomputer consists of 2,560 JS21 blade computing nodes, each with 2 dual-core IBM 64-bit PowerPC 970MP processors running at 2.3 GHz for 10,240 CPUs in total. Located at 41.3894, 2.1161 (Lat. / Lng. ), about 2 miles away. The Pedralbes Circuit was a 6.316 km (3.925-mi) street racing course in Barcelona, Catalonia, Spain. First opened in 1946 in the western suburbs of the city, in the Pedralbes neighbourhood, the course featured wide streets and expansive, sweeping corners; both drivers and racing fans loved the course. The course hosted two Formula One Grand Prix in 1951 and 1954, but the Le Mans Disaster of 1955 meant stricter safety rules and the Pedralbes Circuit was permanently retired as a racing venue. Located at 41.3903, 2.11667 (Lat. / Lng. ), about 2 miles away. The Barcelona Supercomputing Center (BSC) (Catalan: Centre Nacional de Supercomputació, Spanish: Centro Nacional de Supercomputación) is a public research center located in Barcelona, Catalonia, Spain. It hosts MareNostrum, a 63.8 TFLOPS PowerPC-based supercomputer that, as of June 2012, ranked 465 in the world. Also, it hosts a newer 103.2 TFLOPS supercomputer using Xeon E5649 processors. Located at 41.3894, 2.11611 (Lat. / Lng. ), about 2 miles away. IESE Business School is the graduate business school of the University of Navarra. IESE has campuses in Barcelona, Madrid, and New York City and teaching facilities in Munich and Sao Paulo. IESE offers Master of Business Administration (MBA) and Executive MBA programs that are consistently ranked among the best in the world. IESE is an initiative of Opus Dei, a personal prelature of the Catholic Church. Located at 41.3937, 2.10785 (Lat. / Lng. ), about 3 miles away. TelecomBCN (Catalan: Escola Tècnica Superior d'Enginyeria de Telecomunicació de Barcelona) is an engineering school of the Technical University of Catalonia. TelecomBCN is the largest telecommunications engineering school in Spain. The school's objective is to train engineers in the fields of information and communication technologies. Located at 41.3871, 2.11212 (Lat. / Lng. ), about 2 miles away. The Barcelona School of Informatics is one of the schools of the Universitat Politècnica de Catalunya (Technical University of Catalonia), Spain. It was created in 1976, four years after the establishment of the university. It is located in the north campus, and is the main school for computer science degrees. Located at 41.3878, 2.11231 (Lat. / Lng. ), about 2 miles away. — Line 3, currently known as Zona Universitària - Trinitat Nova, coloured green and often simply referred to as Línia verda ("Green line"), is a metro line in Barcelona operated by TMB, and therefore part of the fare-integrated ATM transport network of the urban region. This V-shaped line is the result of the junction of two related lines: the original L3 and L3B, in 1982. Located at 41.3844, 2.112 (Lat. / Lng. ), about 2 miles away. The Barcelona Open (currently sponsored by Banco Sabadell) also known as Torneo Godó, Trofeo Conde de Godó, Open Banco Sabadell, is an annual tennis tournament for male professional players. 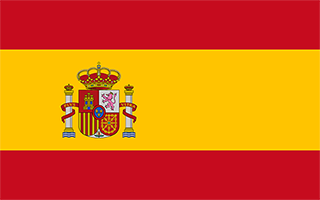 The event has been held annually in Barcelona, Spain since 1953, and is played on clay courts at the Real Club de Tenis Barcelona. Originally an event of the Grand Prix tennis circuit between (1970–1989). The tournament is part of the 500 series on the ATP World Tour. Located at 41.393, 2.118 (Lat. / Lng. ), about 2 miles away. The Barcelona Ladies Open is a tennis tournament for women held in Barcelona in Spain and is played on outdoor clay courts. It is an International-level tournament on the WTA Tour with total prize money of $220,000. The tournament began in November 2003 as a $10,000 challenger event on the ITF Women's Circuit. Prize money was increased to $25,000 the following year; in 2005, the event was moved to October with the prize money increasing to $75,000. Located at 41.3828, 2.10861 (Lat. / Lng. ), about 3 miles away. Zona Universitària is a station in the Barcelona Metro network, named after the Universitat de Barcelona campus of the same name, and currently the southern terminus of L3 (green line, originally L3B). It's located underground Avinguda Diagonal, where it has four entrances, two on each side of the avenue. The station was opened in 1975 and it's due to be enlarged with the inclusion of platforms for lines L9 and L10. It's near a Trambaix station bearing the same name. Located at 41.384, 2.112 (Lat. / Lng. ), about 2 miles away. Palau Reial is a station in the Barcelona Metro network, part of L3 (green line). 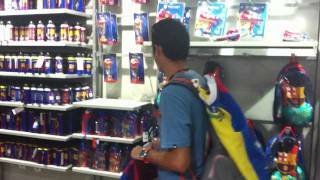 It is located under Avinguda Diagonal, between Carrer del Tinent Coronel Valenzuela and the Biology faculty of University of Barcelona. The station draws its name from the nearby minor royal palace in Pedralbes built for Alfonso XIII in 1924, part of which nowadays hosts a Museum of Decorative Arts. The station itself was built in 1975. It's not far from a Trambaix station bearing the same name. Located at 41.3861, 2.11861 (Lat. / Lng. ), about 2 miles away. ESADE Business School is a business school founded in 1958 in Barcelona, Catalonia, Spain. 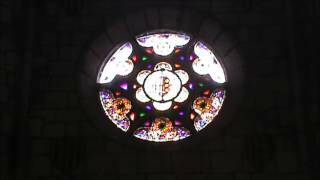 It is part of ESADE and the Ramon Llull University. Besides the Barcelona campus, the school has centers in Madrid and Buenos Aires. ESADE Business School is one of the best business schools in the world, according to numerous rankings. In 2006 and 2007 ESADE was listed as the world’s best business school by The Wall Street Journal. Located at 41.3913, 2.1117 (Lat. / Lng. ), about 2 miles away. The Real Club de Tenis Barcelona 1899 is a private tennis club in Barcelona, Catalonia, Spain. The facility has 18 clay courts, including a stadium court with a capacity of 7,200 and show court for 2,000 spectators. Since moving to its current location in the northwest of the city in 1953, the club has hosted the Open Godó tournament, a part of the ATP World Tour's 500 Series. Over the years, the club has hosted many Davis Cup ties of the Spanish team, including the Inter-Zonal final in 1965. Located at 41.3933, 2.11722 (Lat. / Lng. ), about 2 miles away. The Penya Rhin Grand Prix was a Grand Prix motor racing event staged at the three different circuits in three different eras in Spain. The race was held intermittently over its history, sometimes for full-size Grand Prix cars, sometimes for sports cars. In the 1920s, it was held at a street circuit in Vilafranca del Penedès. In the 1930s the race was revived at a parkland circuit in Montjuïc. In the 1950s after the war it was held at the Pedralbes Circuit. The David Lloyd Club Turó is a tennis venue in Barcelona, Spain. The venue is the host of the annual WTA tournament, the Barcelona Ladies Open. For the monastery, see Monastery of Pedralbes Pedralbes is a neighborhood in Les Corts district of Barcelona, Catalonia. Before the administrative division of 1984, the neighborhood was part of Sarrià and the former municipality of Sant Vicenç de Sarrià. Located at 41.3947, 2.11306 (Lat. / Lng. ), about 2 miles away. The School of Industrial Engineering of Barcelona (Escola Tècnica Superior d'Enginyeria Industrial de Barcelona, abbreviated ETSEIB) is a university school that is part of the Universitat Politècnica de Catalunya (Technical University of Catalonia, UPC). Located at 41.3847, 2.11528 (Lat. / Lng. ), about 2 miles away. The Palau Reial de Pedralbes is a building placed in the middle of an ample garden in the district of Les Corts, in Barcelona. From 1919 until 1931 it was the residence for the Spanish Royal Family when they visited the city. It houses the Museu de la Ceramica (ceramic museum), Museu Tèxtil i d'Indumentària and Museu de les Arts Decoratives (interior design museum), both part of the Disseny Hub Barcelona and is the permanent seat of the Union for the Mediterranean (UfM). Located at 41.3884, 2.11703 (Lat. / Lng. ), about 2 miles away. The Monastery of Pedralbes is a Gothic monastery in Barcelona, Catalonia, Spain. It is now a museum, housing collections from Barcelona City's History Museum. Located at 41.3956, 2.11222 (Lat. / Lng. ), about 2 miles away. The Real Club de Polo de Barcelona (English: Barcelona Royal Polo Club) is a sports venue located in Barcelona. Established in 1897, it had 9000 members at the time of the 1992 Summer Olympics. Normally used for polo, field hockey, tennis, squash, and swimming by its member, the venue was used for the equestrian competition (dressage, jumping, and the eventing finals) and the riding portion of the modern pentathlon events. Located at 41.3825, 2.1125 (Lat. / Lng. ), about 2 miles away. The Centre nacional d'anàlisi genòmica (National Centre for Genomic Analysis) (CNAG) is located on the Parc Cientific de Barcelona (PCB) that is one of the largest research clusters in Life Science in Southern Europe, and was established by Spanish Ministry of Science and Innovation and the Generalitat de Catalunya. Located at 41.387, 2.115 (Lat. / Lng. ), about 2 miles away. The so-called Pavellons Güell, or Güell Pavilions, is a complex of buildings in the neighborhood of Pedralbes, Barcelona, by the Catalan Modernist architect Antoni Gaudí, built between 1884 and 1887. Located at 41.3894, 2.11917 (Lat. / Lng. ), about 2 miles away. The Gabinet de les Arts Gràfiques, in English Graphic Arts Cabinet, is a museum opened on 1942 and located in the Palau Reial de Pedralbes in Barcelona. Together with Museu de les Arts Decoratives and the Museu Tèxtil i d'Indumentària is part of the Disseny Hub Barcelona. The Knowledge Engineering and Machine Learning group (KEMLg) is a research group belonging to the Technical University of Catalonia (UPC) - BarcelonaTech. It was founded by Prof. Ulises Cortés. The group has been active in the Artificial Intelligence field since 1988. The main goal of this research group is the analysis, design, implementation and application of several Artificial Intelligence techniques, to support the operation or behaviour analysis of real-world complex systems or domains. Located at 41.3888, 2.1141 (Lat. / Lng. ), about 2 miles away.